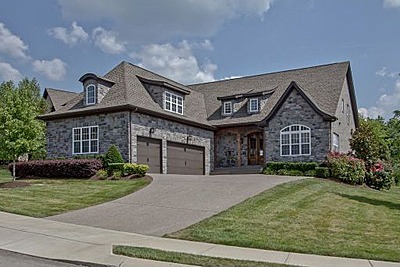 If you are looking for Spring Hill TN real estate, you are sure to find a number of different homes that are going to work perfectly for your needs. Take the time to speak with Amy Wyatt about all of the different Spring Hill TN homes on the market today. When it comes to Spring Hill real estate, you will be able to find a world of different properties to meet your needs. As you search through all of the different Spring Hill homes on the market, you will be able to locate one that meets your lifestyle and budgetary needs. Conveniently located between Williamson and Maury Counties, Spring Hill is only 30 miles away from Nashville. With a population of more than 29,000 people, you are sure to find an array of individuals who are warm, friendly and inviting. During 1808, the first settlers entered the area. It was in 1809 that the town was officially established. Albert Russell built the first home on the area that is known today as Spring Hill. In 1864, the Battle of Spring Hill took place here. Take the kids over to the Rippavilla Plantation and enjoy a great time away from the hustle and bustle of life. The tour guide will be able to explain a number of different areas of the plantation to you. Not only is the property beautiful, but you are going to gain a world of information here. Children and adults will love taking in everything this area has to offer. Children and adults will love heading out to Loretta Lynn’s Ranch. They will be able to enjoy being a kid in every aspect of the word. Children will be able to swim in the creek and have the time of their lives. Let them roam about and burn off some steam on the ranch grounds. Parents and children alike will love everything the ranch offers those who visit here. As you browse through all of the Spring Hill homes for sale, you will be able to determine which one is going to meet your needs accordingly. Plenty of Spring Hill properties are on the market, so you are sure to find your dream home quickly and easily. Browse through all of the real estate in Spring Hill to locate the home you desire. Once you have the opportunity to look at all of the homes for sale in Spring Hill, you will locate the one that you want to make your own. As a Spring Hill home buyer, you want to find something that is going to provide you with the home you desire for years to come. Contact Amy Wyatt today for assistance with Spring Hill real estate.